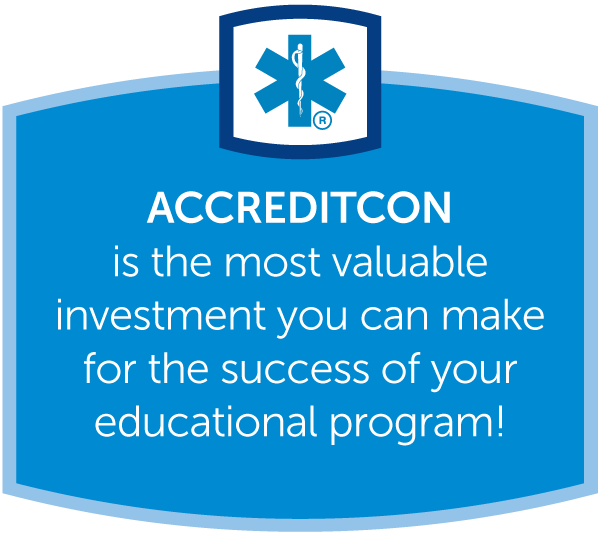 Give guests a convenient way to carry their course handouts while featuring your corporate logo along with the ACCREDITCON logo. • Includes 10’ x 10’ exhibit booth. Treat guests to food and/or beverage breaks and drive traffic to your exhibit booth! • Logo recognition on signage at station. Maximize your presence at ACCREDITCON by sponsoring lunch on Day Two. • Sponsor can provide flyers or handouts on dining tables in exhibit hall during lunch. Our Friday night event takes place immediately following the courses for the day. • Sponsorship includes logo recognition on ACCREDITCON signage, materials, website, and social media sites. • Include your own flyer or postcard (provided by sponsoring company) in each guest’s registration packet. One of the charging station sponsorships has been retained by CAAHEP; additional charging station sponsorships are still available. • Increase guest engagement with a place for them to charge cell phones, tablets and computers. Your message will be visible on the charging device.